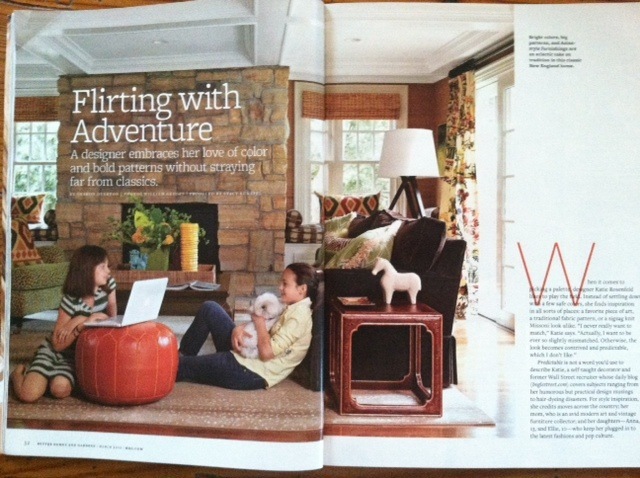 I’m embarrassed to admit that I often forget to post the magazine stories that I’ve styled. They are often shot months or even a year in advance and by the time they come out in the magazine I’m already off to the next thing. Seeking to rectify that this morning with 5 Best Things with an all magazine addition! 1. 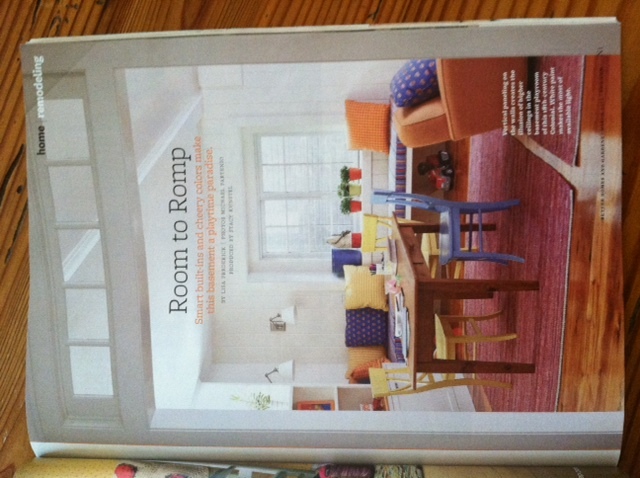 The March issue of Better Homes & Gardens was very good to me! There are three features in the magazine that I styled. That’s definitely one of my 5 Best Things this month! 2. 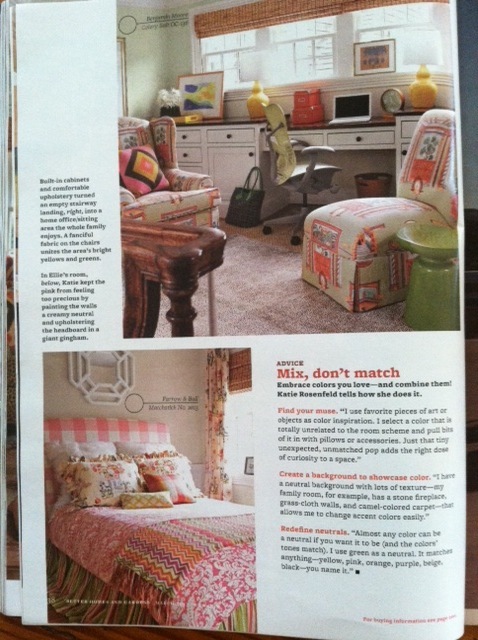 I had never met interior designer Katie Rosenfeld before I scouted her house for Better Homes & Gardens last February. Now I can’t imagine how I didn’t know this tremendous talent all along. 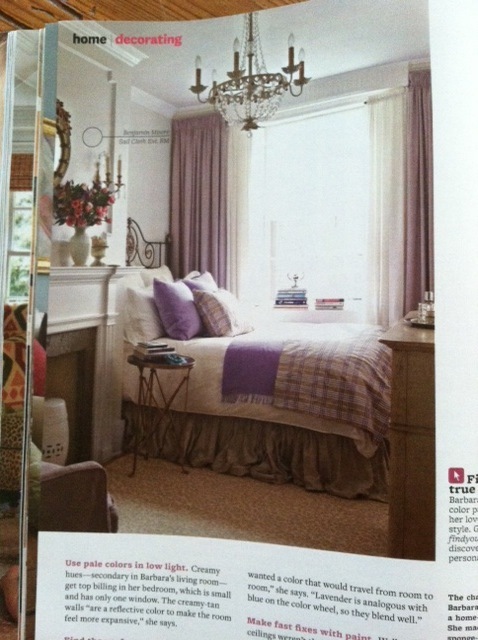 I was thrilled to style her home for BH&G this past summer and to see it appear this week in the March issue of the magazine. Photos are by William Geddes. 3. 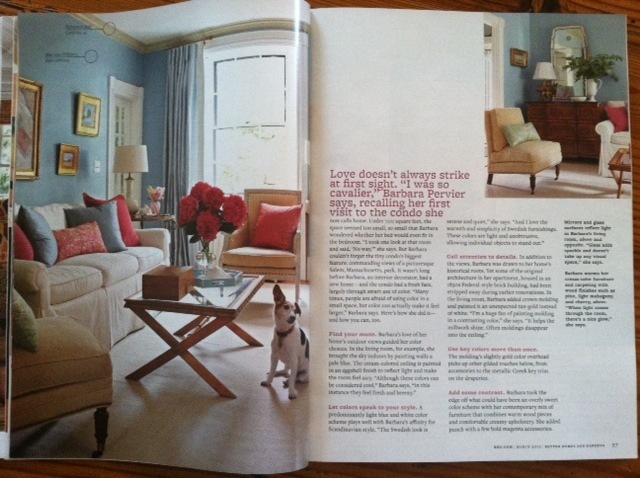 Just a few pages past the Katie Rosenfeld article came the most delightful story about interior designer Barbara Pervier, her adorable dog Henry, and the 600 square foot condo they live in. Photos by Michael Partenio. I couldn’t resist adding this photo that didn’t run! 4. 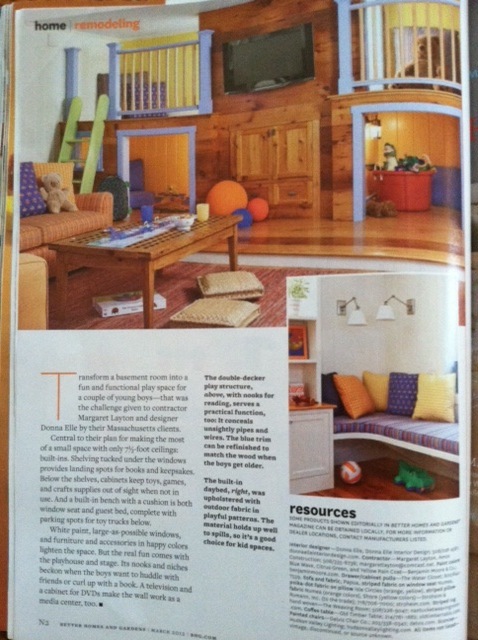 Photographer Michael Partenio and aI also had this playroom feature in the issue that was designed by Donna Elle. Love the color! 5. 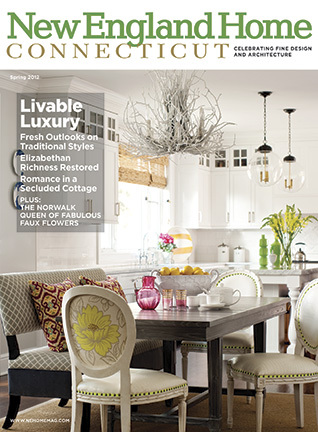 I am thrilled to have the cover image of New England Home Connecticut’s spring issue with photographer John Bessler. The space is by interior designer Jan Hiltz. Check back here next week for what to find inside that issue! XO I also can’t imagine not knowing you, Stacy! I just adore Katie Rosenfeld and her style. 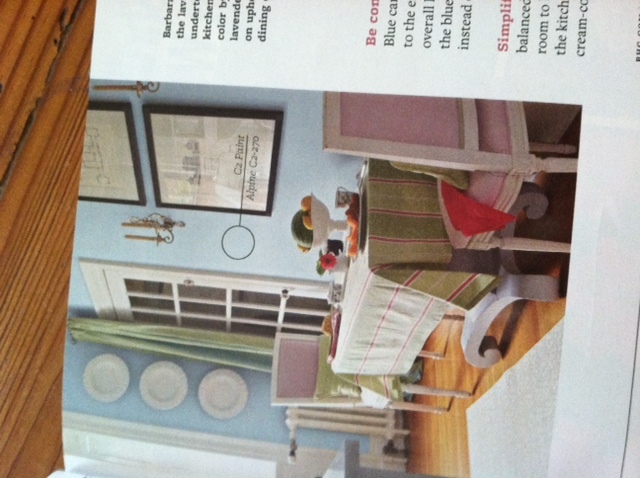 But I have to share the love with Barbara Pervier’s sweet little condo. It goes to show you that small can still be wonderful. And what a great job you did on both of these places! You are the sweetest! Thank you so much! I can’t wait to get to do a post on your shoot! Is it coming out soon? BH&G book is scheduled for release on Amazon on 6/19. Beautiful work, Stacy! I always enjoy your posts! That BH&G issue is a winner! You surly know how to bring out the best in a room and a project! 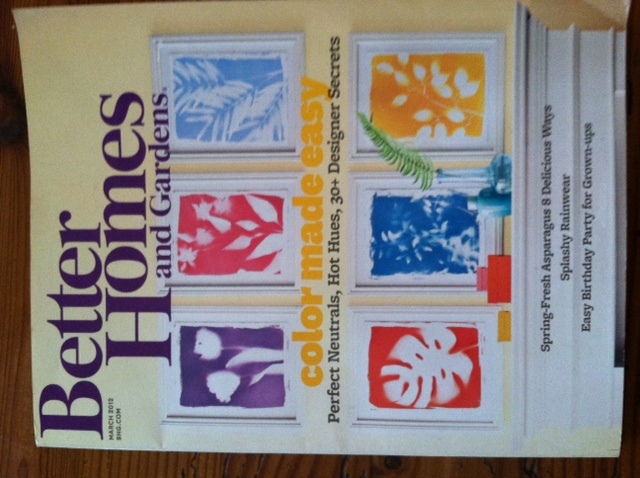 Can’t wait to see Jan’s home in the pages of NEH and will need to pick up some issues of BH&G! Hope you’re well and wish you a wonderful weekend! You do the greatest stuff! The Katie Rosenfeld piece was beautiful, as was Barbara’s place. I can’t believe that image of her on the chair didn’t get published. Everything about it was endearing, right down to the pattern of her dress. As you can see I will do anything to be part of your 5 Best Things – to include standing barefoot on top of a chair, thanks for bringing a bit of creative whimsey into your work! 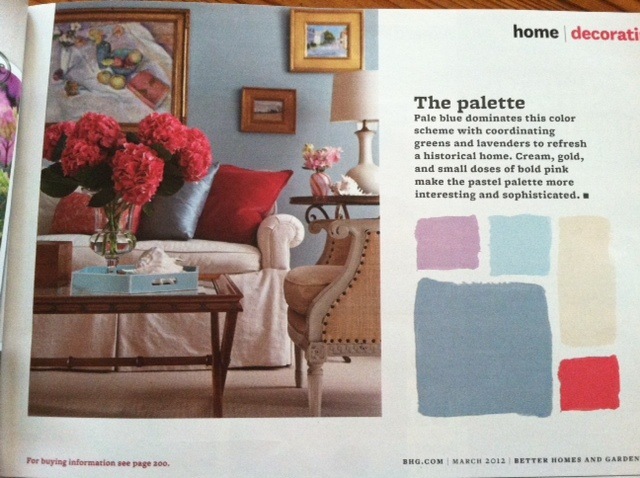 I’ve been meaning to post about this month’s BHG issue and I haven’t had a chance, but this is a perfect opportunity to say that BHG knocked it out of the park this month (and I love the new feature of the color palettes) and that knocking out of the park has a lot to do with your hard work – both Katie and Barbara’s homes were favorites of mine and just really beautiful. 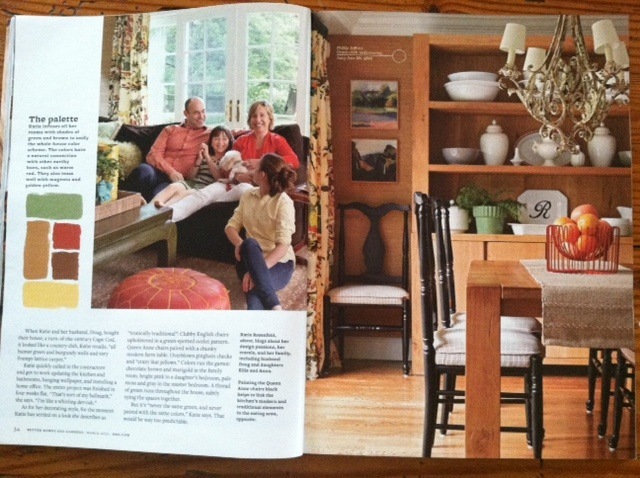 I also picked up New England Home recently and I think you may have been involved with Amy Meier’s article too which was really beautiful as well and I loved the story (and friendship) behind Amy’s design. Thank you so much, Holly! Can’t wait to see your post! 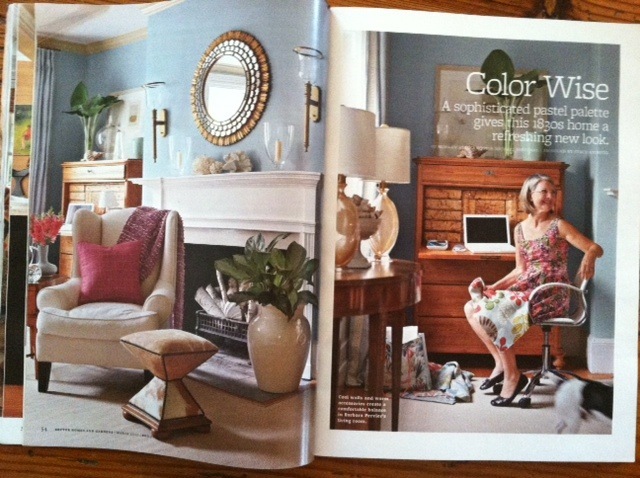 So amazing to have the opportunity to work with you and John Bessler during the New Enhgland Home photoshoot. 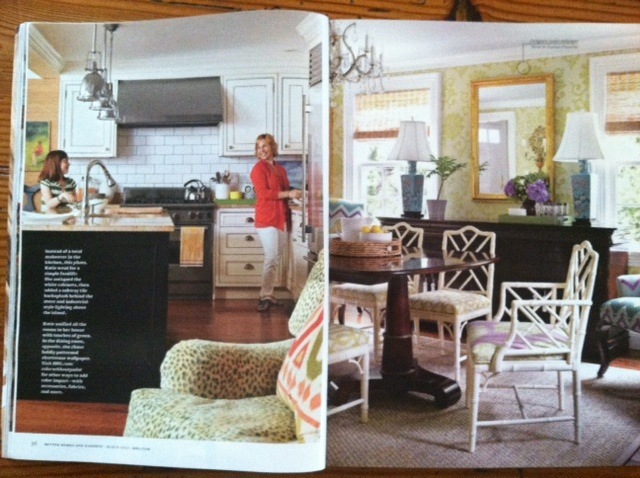 You made me feel like a rockstar and my client’s home is portrayed beautifully. The icing on the cake was making the front cover. Congratulations and many, many thanx. I received the magazine and you did an amazing spread. Awesome!!! !